Firstly, lets talk about packaging! I am quite a fan of how this mascara has been packaged as it does look different to any other mascara I own. It does look really cool and I quite like the short spikes as it is so different. 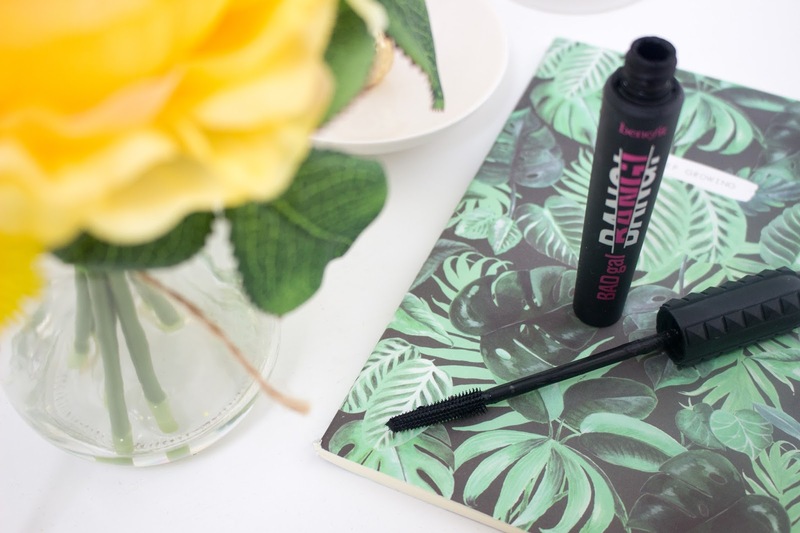 Often mascaras all look the same so I am glad that Benefit has made it not look like any other mascaras on the market, as well as making it the polar opposite to their current best-selling mascaras They're Real and Roller Lash. I also love the soft-touch rubber finish to the tube of mascara as it makes it feel nice to touch in the hands, plus it doesn't roll off on a surface because it just stays in place. This almost has a rock, edgy feel to it and I really love how it looks. 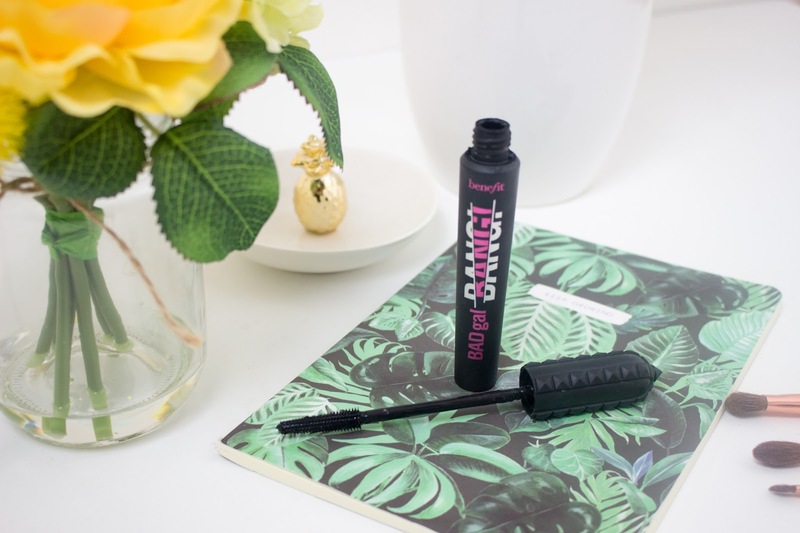 Now, Benefit went very scientific when they explained how the mascara worked and I am not going to go too much into that because I know that most of you will just want to know whether this mascara is worth buying or not! So, quickly, this mascara has aero-particles in it which is the lightest known material, derived from space technology (don't worry I didn't understand this either)! I must admit I was not too bothered that they were using space technology in a mascara but it is pretty cool to know. 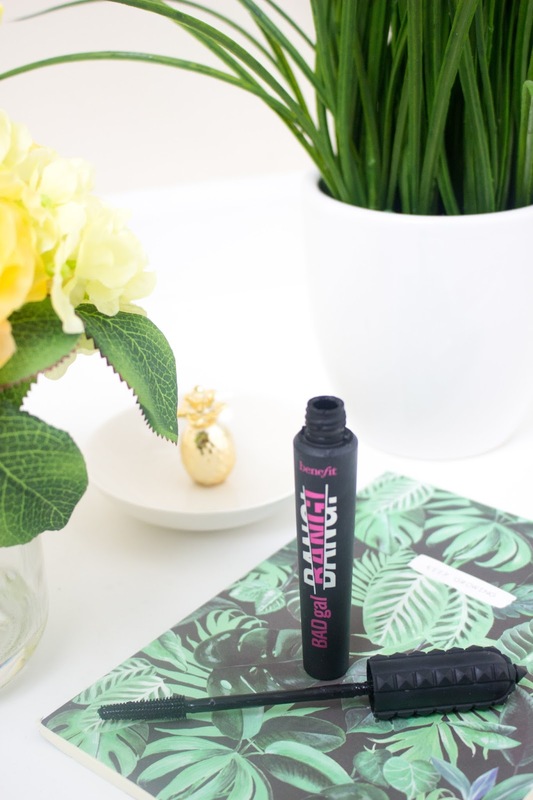 There is also ProVitamin B5 in the mascara formula which is used to fuel thickness and strength to our natural lashes - it is like a conditioner for our lashes. The wand itself is also unique to other mascaras on the beauty market. It is a cone-shape which means that it will work with whatever shape eyes you have - whether they are round, almond or anywhere in between. Also, there are over 300 bristles packed onto the long wand, meaning they will catch every single lash. Apparently the bristles are cut in half, so one side is flat and the other is curved (I didn't really understand what this meant). However, Benefit's Head Makeup Artist, Lisa Potter-Dixon, said that the flat side is meant to push the mascara from the root to the tip of the lash to help make lashes look more voluminous and thick. I do really like this mascara, I think it is lightweight, doesn't clump and is just a lovely mascara. 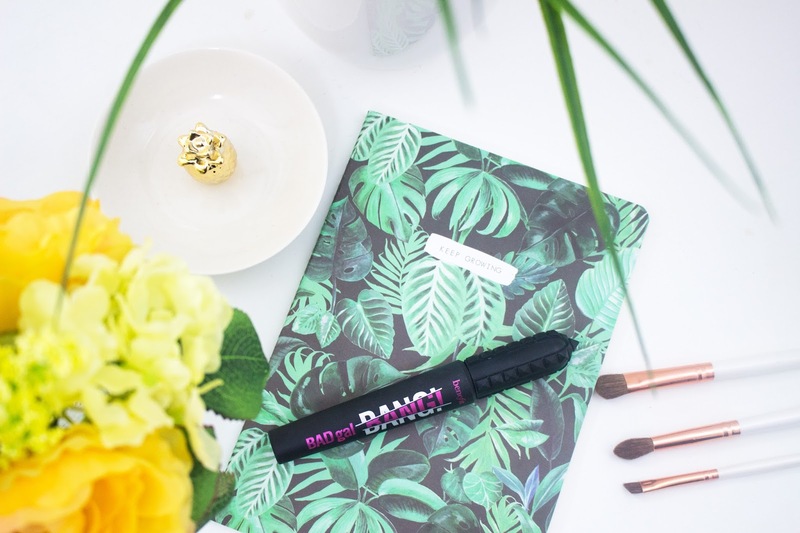 As I have long lashes anyway, it is quite hard to tell whether this mascara really volumises and lengthens my natural lashes, however I have been impressed with the finished result. I would say that this mascara does add some volume to my lashes and I do notice that my lashes look slightly longer when I apply this mascara, but most mascaras do this as well. 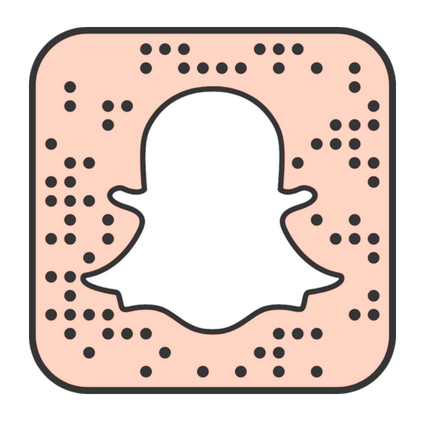 The wand is something that I really love with this product because I often find it hard to evenly coat every lash, especially those in the outer corner and right near the root. However, with this wand it is so easy to catch every lash and I do see that my lashes look slightly thicker at the root of the lash when I apply this mascara. I would say that this did not dramatically change the length and volume of my lashes (but that could be because of how naturally long they are anyway) but I did see a difference and it did make my lashes look beautiful. I really loved the effect that this mascara gave my lashes - they didn't look spidery but they didn't look like they had all clumped together either. I always apply just one coat to my lashes because I always find that two coats look awful on me (no matte what mascara I use) and I found that this was enough to give me long, voluminous lashes. When I applied the mascara, every lash was evenly coated and just helped to finish my makeup look perfectly. When I first apply the mascara I loved how it made my eyes and lashes look, however, I did notice that after a few hours my lashes would still look beautiful but they wouldn't look as full as they first did. I don't know what would cause that and whether it is because of heat or whether it is some of the mascara coming off but it is something that I have noticed recently happening when I wear this product. I want my lashes to look as full when I am taking my makeup off as when I first applied it and I just feel like I don't get that with this mascara. Therefore, it is a mascara that you might have to keep in your makeup bag to touch up throughout the day. I am going to try applying a second coat in the future to see if that makes a difference. Even though my lashes don't look as full after wearing the mascara for a good few hours, they still have some volume to them but they don't look as intense when I first applied the mascara. This mascara has one big claim and that is 'it lasts for 36 hours.' Now, I don't know anyone who is going to wear a mascara for 36 hours straight - I probably only ever wear makeup for a maximum of 12 hours and that is pretty rare. I couldn't even imagine why anyone would need their mascara to last 36 hours but if that is something you are looking for they this is the mascara for you. I wasn't going to test whether this mascara lasted for 36 hours but I did find that this mascara lasted all day. Although, I did mention that my lashes wouldn't look as full after wearing the mascara for a few hours, I still saw that the mascara was still there and there was still some volume; it just was not as dramatic as when I first applied the mascara to my lashes. Also, this mascara does not budge or smudge at all. Often with mascaras, I will end up getting product build up under my eye (as the day progresses) and I am always having to wipe it away as it doesn't look that great. However, I found that this mascara does not do that and even when I have been working out or working in a hot building my mascara has not run at all. I am not sure if this mascara is waterproof (and there are no claims of it being waterproof) so this won't be a good mascara for swimming but my eyes often water and this mascara does not budge. Although I do feel like if you are crying or caught in a heavy rain shower then this mascara might give you "panda eyes" and I have read that in some reviews of this product. One criticism I do have about this mascara is to do with the wand and its flexibility. I do often like it when mascara wands have some flexibility to them because it makes it so much easier to coat the lashes on the outer part of my eye, however this mascara wand is a bit too flexible. It is really bendy and I just felt like I had less control when applying my mascara. Often, the wand would slip and I would end up with mascara on my skin rather than my lashes which meant I would have to remove it and re-touch my makeup. Something that I really struggled with was how difficult this mascara is to remove! Often I find a lot of mascaras difficult to remove but this was so hard. I will usually use a makeup remover or a makeup remover balm and I found it really difficult to remove this mascara. Once I had thought all the mascara was off, I would wake up the next morning to see some of the product all under my eyes. I am not sure if there is a particular product that you are meant to use when taking off this mascara but I don't want to scrub at my lashes in case I pull out some of them. This is not a major criticism as it is not too much of a concern but it is a bit of a pain having to spend so much time trying to remove my mascara every night. Overall, I think this mascara is only for someone who has naturally long and thick lashes. If you have short, fine lashes then this is probably not a mascara for you, as I have read some short reviews on some websites where people have said that it has clumped their lashes together or made them look really spidery. I feel like Benefit didn't really need to make another mascara and as much as I like this mascara, I feel like Roller Lash and They're Real are just as great. I do feel like this does add some volume to my lashes, but it was quite difficult to tell because of how long my lashes are without mascara on. The finished result when I use this mascara is beautiful and I love how dramatic my lashes look, however I do notice that dramatic finish does fade slowly over the day (but that is after wearing it for 6 hours or so). I probably will repurchase this in the future because it is beautiful on my lashes and it just helps to enhance my natural lashes without being too much. I can see that this mascara might clump a bit if you apply more than one coat as the formula does seem quite thick on the lashes. I feel like Benefit were trying to be quite innovative with the space technology used but that doesn't really mean much to me and that wasn't the reason why I decided to buy it. I think there are other mascaras out there that are just as good and are more affordable (especially if you have shorter lashes). I do think this is a good mascara and I personally really like it but I think that this will work best for anyone who has longer lashes anyway, but this mascara is perfect for evenings out when you want your lashes to look dramatic and intense. 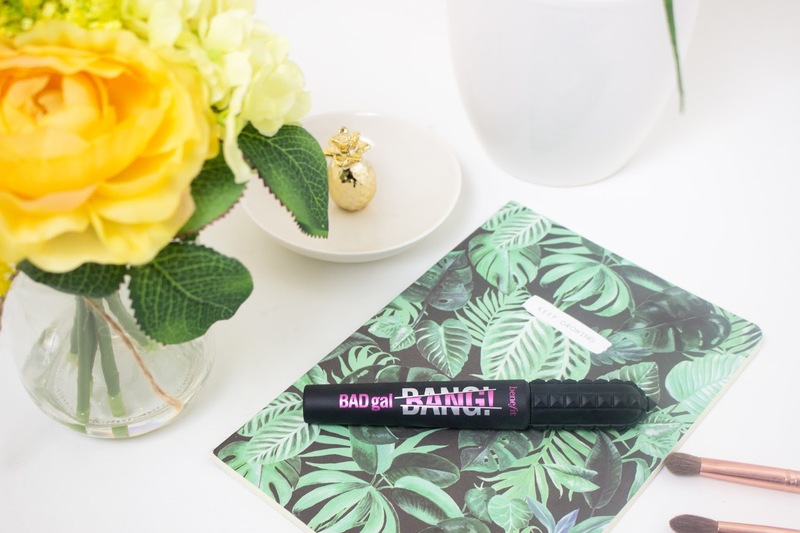 The Benefit Bad Girl Bang mascara costs £21.50 and is available from Benefit, Debenhams and Sephora.